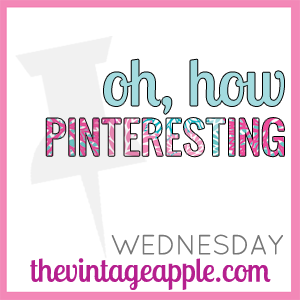 Today I am linking up with The Vintage Apple for Oh, how Pintresting Wednesday! If you don't know anything about Pinterest its an amazing site where you can find so much inspiration. If you don't already.... Feel free to.. Magnets and spray paint- i HAVE to do this! You can find all the details for these on my pinetrest boards! 1 comment on "Oh, How Pinteresting.. "
Those little gumdrop characters are SO cute!